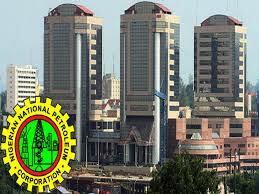 The NNPC spokesman, Mr. Ndu Ughamadu, said in Abuja on Sunday that the recognition was conveyed to the Group Managing Director of the corporation, Dr. Maikanti Baru, through a letter dated March 5. He said the letter was endorsed by Waziri Adio, Executive Secretary of the Nigeria Extractive Industries Transparency Initiative (NEITI), on behalf of its parent global body. “The decision to confer the award on the NNPC was reached at EITI’s Board meeting in Kiev, Ukraine, on 27 February, 2019, having adjudged Nigeria to have attained “Satisfactory Progress in implementing all EITI requirements. “Nigeria is the first Anglophone African country and one of the seven countries within the EITI community to have attained this status so far,’’ he said. The global extractive industries transparency watchdog explained that the laurel was a milestone for Nigeria and a clear recognition and appreciation of the invaluable role of the NNPC. “We particularly note and commend the increasing collaboration and cooperation from NNPC and its subsidiaries and the new wave of reforms which your organization exemplifies by the monthly disclosure of operational and financial data of the National Oil Company,’’ Ughamadu quoted the organisation as saying.